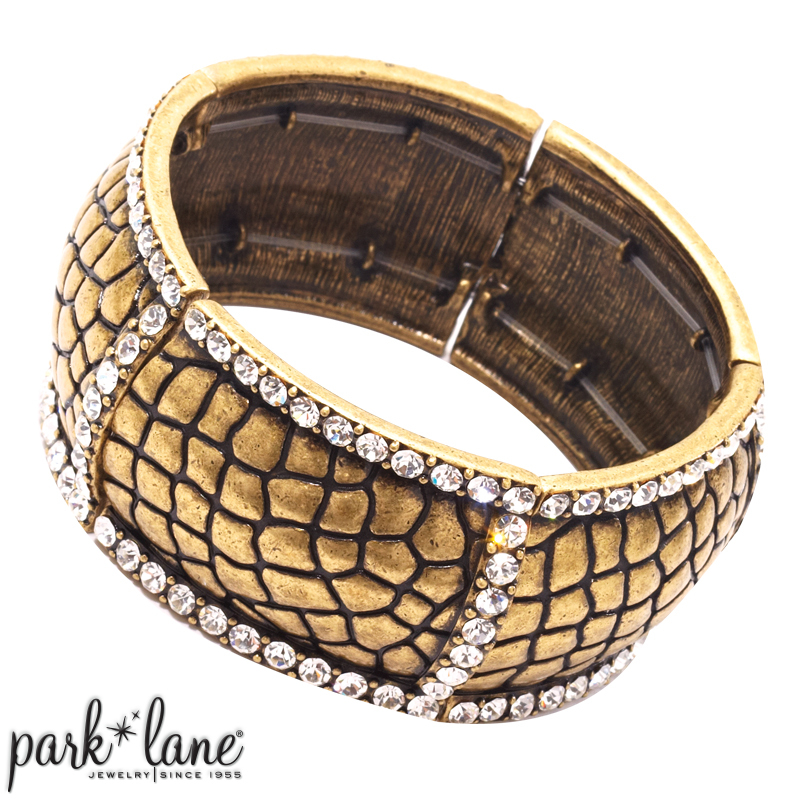 Everything you could want in an accessory: popular burnished finish, an exotic imprint, and sparkling crystal bling. Antiqua bracelet embellishes your wrist while the matching earrings adorn your ears. 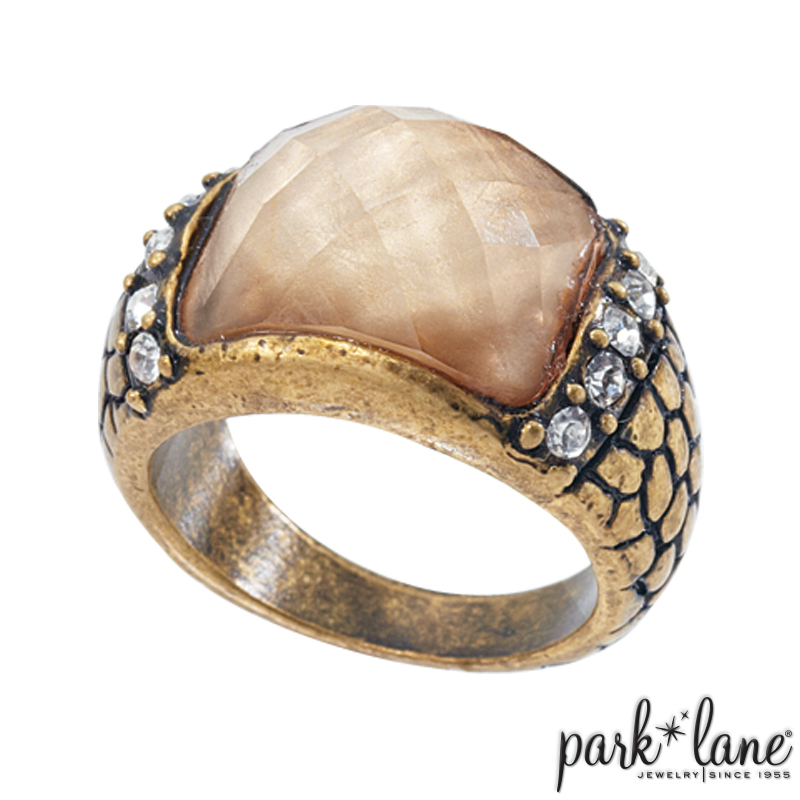 And, with its champagne-colored frosted glass gem, this ring goes with EVERYTHING! Antiqua ring specifically flatters, Donatella, A La Mode, Cleopatra, Dublin, Feather, Mademoiselle, Sevilla, Paige, Crème de la Crème. Antiqua bracelet complements: Donatella, A La Mode, Mademoiselle, Paradise, Paige, Feather, Coronado Safari and Jadore.